After Performance, Error, and Log monitoring, it’s time to bake security into your apps, too. Ship rapidly and confidently by infusing security into every app in production. Sqreen is quick and straightforward to install. Our out-of-the-box security modules start monitoring and protecting your applications without any configuration. Get access to the best controls without hiring expensive security teams or consultants. Easily meet compliance needs with advanced security monitoring and protection tools. 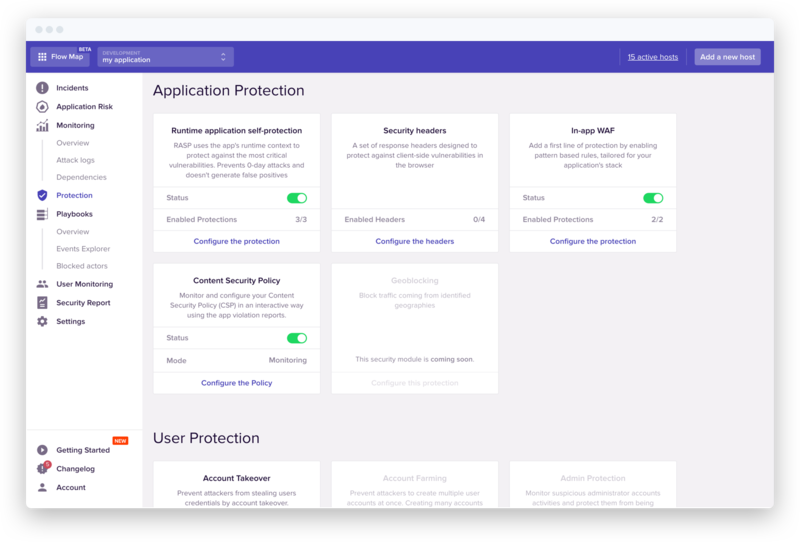 Sqreen delivers the security monitoring that Algolia needs to able to confidently promise a tier-one service to our customers. Security shouldn't slow you down.